HIV/AIDS is a viral infection that harms your immune system by killing the white blood cells that fight off infections. With a compromised immune system, those diagnosed with HIV/AIDS are at risk for serious infections and certain cancers. HIV/AIDS can be transmitted through sexual contact, sharing of infected needles, or from mother to child. If you are diagnosed with HIV/AIDS you know all too well of the difficulties you must endure, socially, physically, and mentally. As an employee with HIV/AIDS, you are inherently a strong individual who should fight back against work place discrimination. You are also entitled to just the same job opportunities and employment practices as anyone else. Let one of our Glendale attorneys at California Labor Law Employment Attorneys Group represent you in a HIV/AIDS discrimination lawsuit against your employer. What laws protect me from HIV/AIDS discrimination? It is also illegal for an employer to limit, segregate, or classify a job applicant or employee in a way that adversely affects the opportunities or status of that employee because of their disability. HIV/AIDS is considered a disability because the legal definition of a disability, according to the ADA, is a physical or mental impairment that limits one’s ability to perform one or more major life activities. Major life activities include bodily functions, and since HIV/AIDS adversely affects the function of the immune system, it can be categorized as a disability. If you have sustained any kind of unlawful employment practices because you have HIV/AIDS, then you need to speak with one of our HIV/AIDS discrimination attorneys in Glendale immediately. To request a reasonable accommodation from your employer you do not have to do it in writing. An employer cannot ignore a verbal request. The California Department of Fair Employment and Housing (DFEH) also requires that if a reasonable accommodation is made, an interactive process by your employer must be initiated in a timely fashion and in good faith. The process consists of an assessment of the job and your disability in relation to the reasonable accommodation requested. The Fair Employment and House Act (FEHA), Unruh Act, and Disabled Persons Act are all anti-discrimination laws that prohibit disability discrimination. The FEHA specifically protects people with disabilities from discrimination in employment. It is illegal for your employer to retaliate against your if you file a discrimination claim to the DFEH. It is your legal write to file a claim, and if your employer has retaliated negatively, you may have means to sure your employer wrongful termination or discrimination. Get help from one of our skilled HIV/AIDS discrimination attorneys in Glendale by calling our office today. Can I get fired for taking time off because of my HIV/AIDS? While the time is not paid, your employer may require you to use your accrued vacation or paid time off. 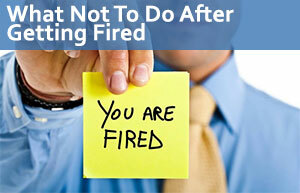 An employer cannot fire you for taking this time off, and if you have been fired because of taking your time off, you have been wrongfully terminated and should seek compensation for rights being violated. Complete a Free Case Evaluation form or call (888) 694-7132 today. Can I receive benefits for my HIV/AIDS diagnosis? There are a few ways in which you may be eligible to receive benefits while unable to work due to your HIV/AIDS. The California State Disability Insurance program is an insurance you pay for through payroll deductions. SDI provides wage replacements for those that cannot work due to injuries that are not work-related. There are currently around 18.7 million Californians who are covered by the SDI program, and you may be included in that number. You may be able to receive up to 52 weeks of compensation, depending on how long your disability lasts. If your HIV/AIDS is more severe, you might want to look into receiving Social Security disability benefits. These are payments made to those who have an injury or illness last longer than a year or result in death. If you have more questions about ways in which you can receive compensation while taking time off to recover from your diagnosis, do not hesitate to get in touch with one of our extremely knowledgeable Glendale attorneys. As you can see, you are protected under a variety of laws, and entitled to certain accommodations or privileges that will assist your medical condition. It is unlawful for your employer to deny these rights from you or retaliate against your for either trying to exercise these rights or a file discrimination claim against them. If you want to be helped by a lawyer that knows all about the different anti-discrimination and employment laws, then you need to schedule your free consultation with one of our Glendale attorneys. You also do not need to worry about you finances when it comes to working with us. Our zero fee guarantee means that we will take on your case without asking for any upfront fees. We only ask for a small fee if we win your case. If we don’t win, then you won’t be charge. Our process is risk free, and we promise you won’t regret getting in touch with us. If you have already consulted with a different lawyer, it does not hurt to get a second opinion. You can schedule that free of charge as well and get legal advice from a well-versed HIV/AIDS discrimination attorney in Glendale. You HIV/AIDS diagnosis does not have to be a form of loss. Instead, let’s turn your situation into a cry for justice in the workplace.